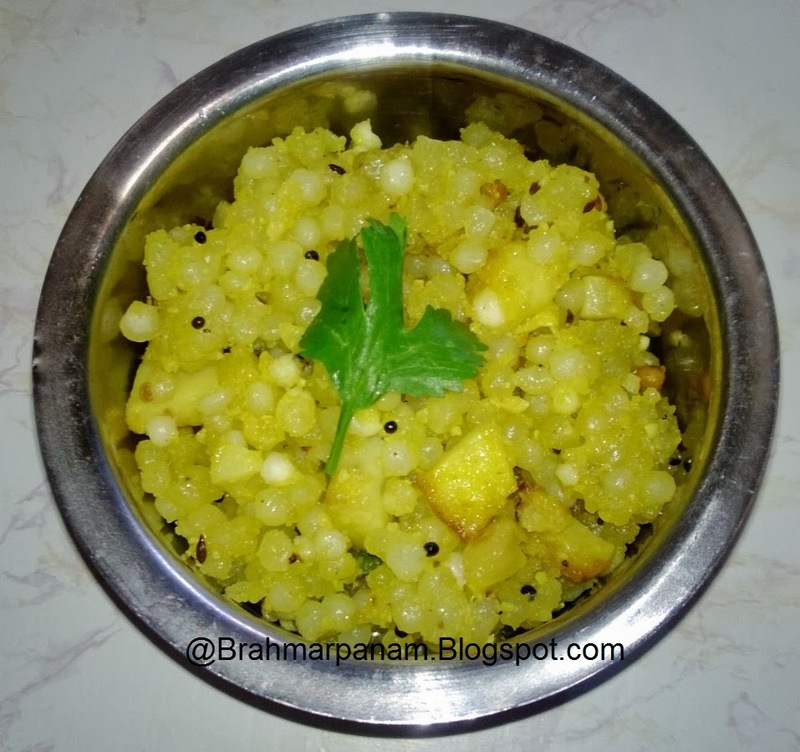 Jawarsi Upma or Sabudana Kichadi is generally made during Ekadesi and other fasting days as this is one of the dish that is allowed to be eaten by people who cannot fast completely due to any reason. There are many ways this kichadi is prepared but this is my mother's version of the recipe and we all love it. Wash the Jawarsi and soak it overnight with enough water. (If you forget to soak it the day before, soak it for atleast 3-4 hours.) Drain the jawarsi in a colander when you are ready to make. Add the cubed potatoes and fry it for a few minutes till it is cooked. Add the peanut powder and mix well for a few minutes.